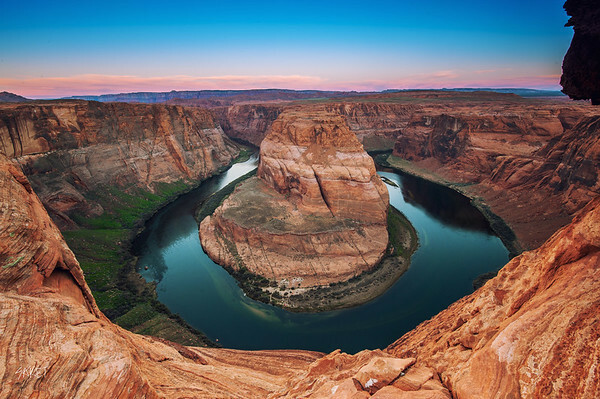 Horseshoe Bend glowing with dawn glow on a summer evening. 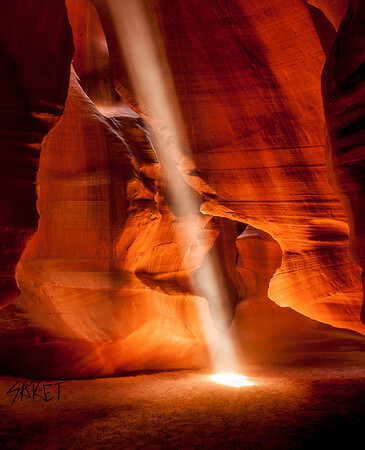 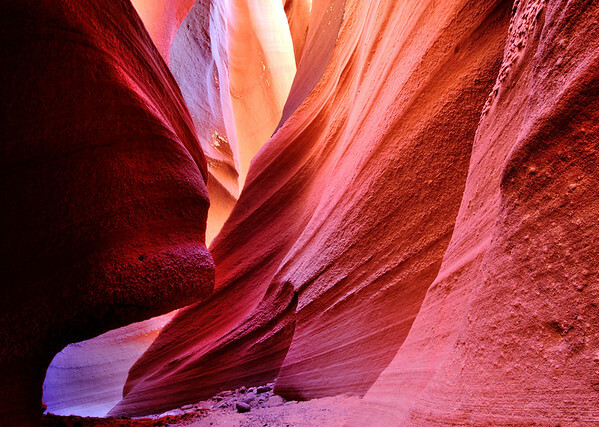 A beam of sunlight hitting the upper antelope canyon. 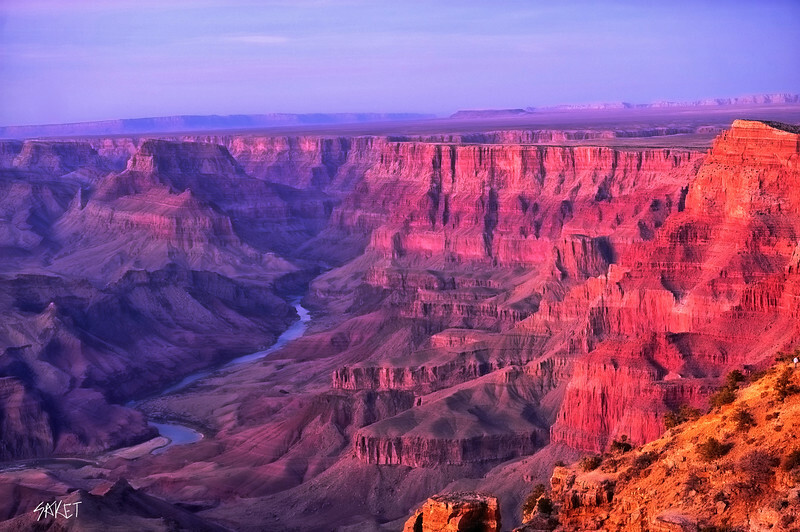 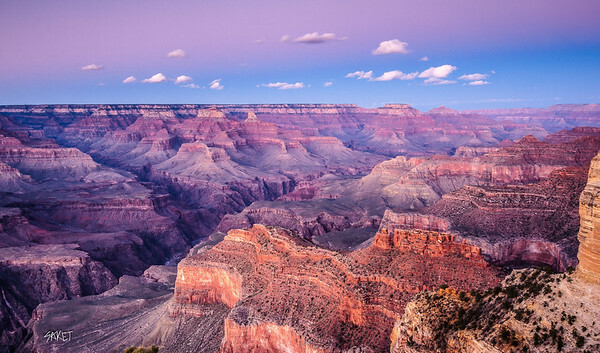 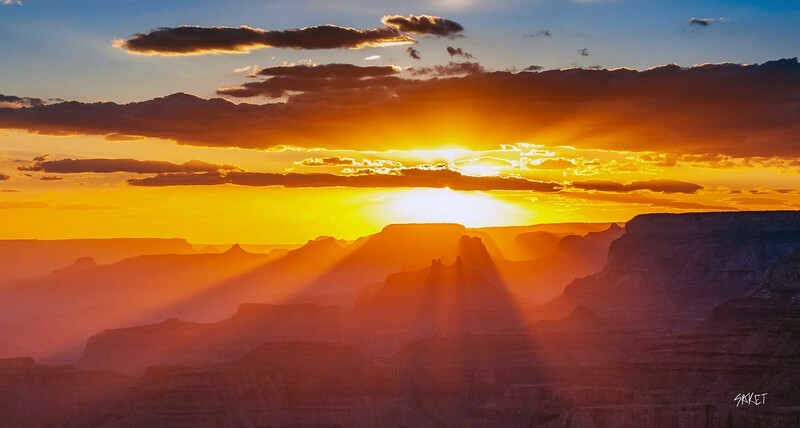 Beautiful sunset colors at south grand canyon.